The construction fencing was installed today. 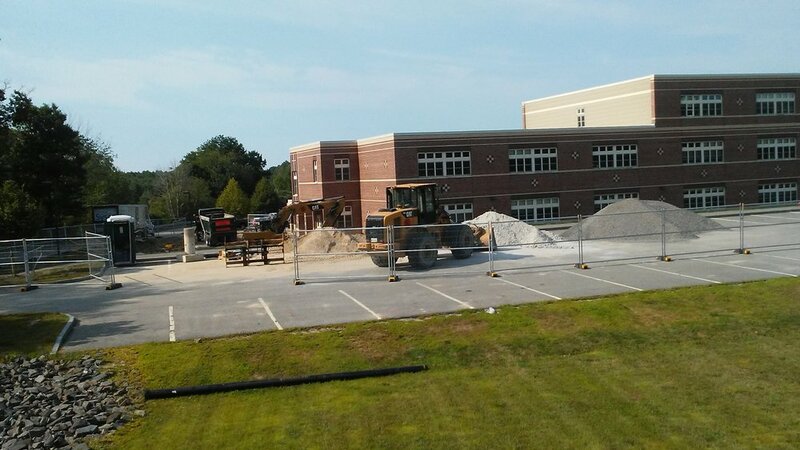 The will change the traffic pattern at the school, most significantly in the back (PAC) side of the building. If you take the first right into the back parking lot, that has now become a one way around the building because the entry and exit to that lot is so narrow. Also, please note that students will have much less room to maneuver bikes and it will even be a bit tight for walkers on the sidewalk, although the sidewalk IS open. So, if you are dropping students off, PLEASE BE VERY VIGILANT AND ON THE LOOKOUT FOR STUDENTS as you enter and exit. It will take us all some time to get used to the crowded roadways. Well, it's finally here. As of today, we have heavy machinery on site and the work has begun off the back of the building. This work is primarily to ready the area for the foundation work to come. They also need to move a water line. Sometime over the next week, they will be installing the temporary construction fencing that will be in place throughout the construction period. 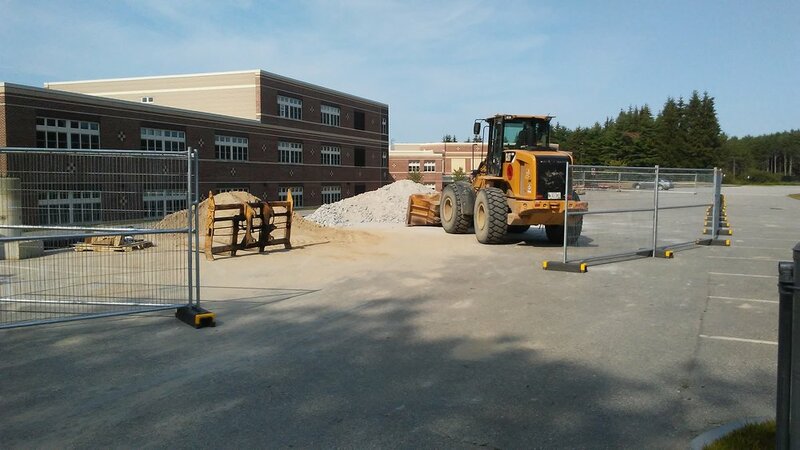 The placement of this fencing will result in a change in traffic pattern around the back of the building and we will need to have students cross over the bus loop to get to the sidewalk. As a result of that, we will be adding a crossing guard to the bus loop area to ensure our students' safety during the drop off and dismissal times. Much more information to come on that as we get closer to the start of school. 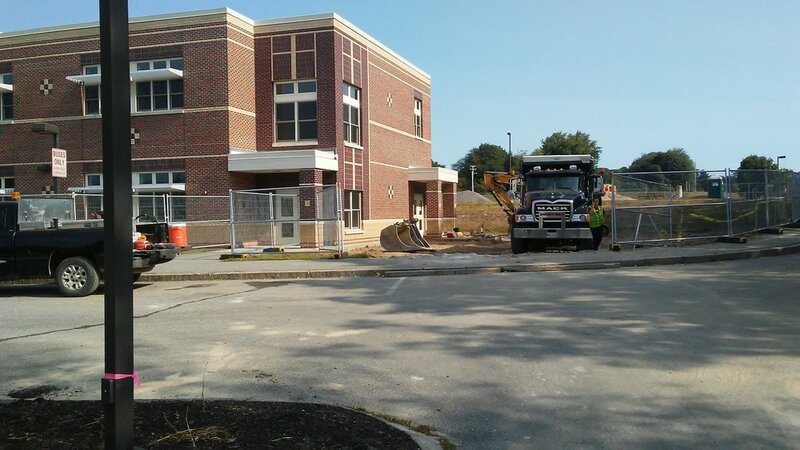 Meetings were held at the Westbrook City Hall and at the Westbrook School Department with school and city officials as well as representatives from Harriman Associates (the project architect and engineering firm) and Arthur C. Dudley (the contractor for both the WMS and Saccarappa project) to finalize contracts and open a dialogue between all involved parties associated with this project.